When the time comes for you to undertake a kitchen remodel project in Carrollwood, Florida, remember the name KitchenAlity. We have a passion for remodeling kitchens for homeowners in the area, and we’d love to help you take your kitchen from ordinary to extraordinary and give it a special touch of personality. 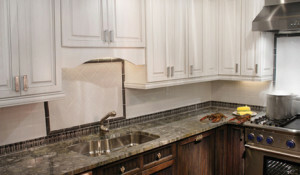 Additionally, we can remodel your kitchen by replacing and installing a variety of different products and fixtures. For instance, we can provide you with completely customized kitchen cabinetry, new flooring, beautiful countertops, ornate backsplashes, and so much more. If you’d like to have it in your kitchen, we’ll make it happen for you. To find out more about the various kitchen remodel services from KitchenAlity and how we can bring some personality to your kitchen in Carrollwood with kitchen cabinets, new countertops, updated flooring, and so much more, please contact us today. When you do, we’ll schedule an in-home meeting with a professional member from our team.